The My First Game series features players past and present, officials and fans telling us of their memories of their first game of rugby league – be it as a player or simply as a fan. This week, it’s Liam Finn. The Ireland international half-back departed Super League following a brief stint at Widnes at the back end of last season but will continue playing next season for Newcastle Thunder in League 1, combining that with a new coaching role at Wakefield. Finn, 35, has plundered more than 2500 points in a career that has taken in significant spells at Dewsbury, Featherstone, Castleford and Widnes. Though he had to wait many years to establish himself in the top flight, he actually made his professional debut in Super League at the age of 18 for Halifax against one of his future clubs, Castleford. He recalled: “I used to train with the first team when I didn’t have school/sixth form during the week and then on a Saturday morning, I didn’t used to go because I worked on my uncle’s milk round and they were usually just doing captain’s run. “He said ‘how long will it take you to get to training’ and I said about 10 minutes and he said ‘good because I need you down here now’ so I rushed down to training and he said I was playing the day after. “That’s my main memory. We played Castleford at Wheldon Road, we lost actually, but that’s my main memory of it. “In my head I was absolutely nowhere near being picked for a Super League team, I was just happy to be training with them. In that game, a 38-14 defeat, teenager Finn kicked three goals having started at half-back alongside Gavin Clinch. The Blue Sox had led 14-8 at half time but were turned over in the second half by a Castleford side that would finish in a play-off spot that season, while Halifax finished 9th. The man who handed Finn his debut, Steve Linnane, would be sacked the game after – a 64-0 thrashing at St Helens in which Finn once again started at scrum-half, alongside Andrew Dunemann. In his first appearance under new coach Tony Anderson, Finn would orchestrate a 25-20 win over Wakefield, which would be the only time he tasted victory in a Blue Sox shirt. 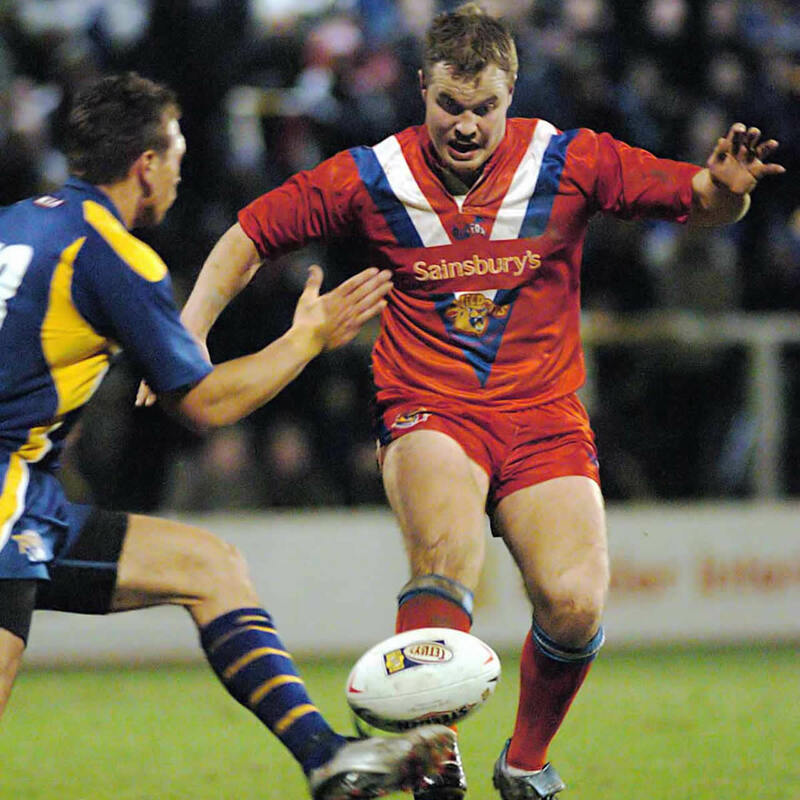 Finn would play 17 times in a difficult 2003 campaign for Halifax, which saw them finish bottom and be relegated, and after a couple of appearances for Wakefield in 2004, he was forced to drop down to the Championship to make a name for himself. Though probably too young to remember, having been born in 1983, in Finn’s early years Halifax were cream of the crop – winning the RFL Championship in 1986, followed by the Challenge Cup and Charity Shield the following year. That would be the club’s last silverware until 2012, when Halifax won the Northern Rail Cup, ironically beating Finn’s Featherstone at Blackpool. 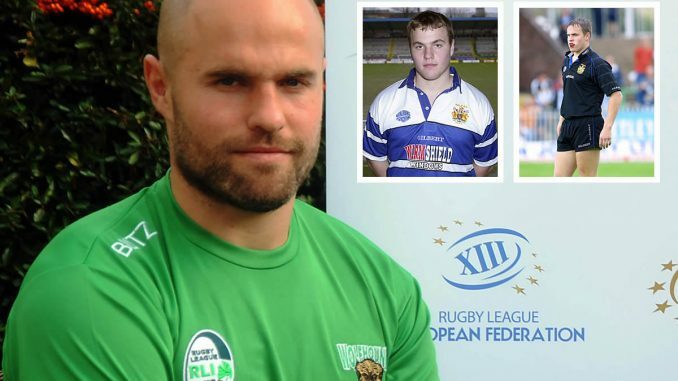 It was during Featherstone’s period of dominance in the Championship that Finn’s stock rose, and that earned him five years in Super League, as well as a record 28 caps for Ireland, including taking in the 2008, 2013 and 2017 World Cups. Castleford: Darren Rogers (1T), Jon Wells, Barrie-Jon Mather, Michael Eager (1T), Waine Pryce (2T), Danny Orr, Mitch Healey, Nathan Sykes, Wayne Bartrim (7G), Andy Lynch, Dale Fritz, Michael Smith (2T), Lee Harland. Subs: Kyle Warren, Wayne Godwin, Adrian Rainey. Halifax Blue Sox: Stuart Donlan, Danny Halliwell, Colum Halpenny, Jason Flowers, Robbie Beckett (1G), Gavin Clinch, Liam Finn (3G), Andy Hobson, Sean Penkywicz, Chris Birchall, Jim Gannon, Shayne McMenemy, Johnny Lawless (1T). Subs: Jamie Bloem, Andrew Brocklehurst, Jamie Thackray, Paul Davidson.